As you are aware, Steam is releasing the 'Steam Box', which will be running a new operating system called 'SteamOS'. SteamOS will also be available for PC download as an operating system, just like MAC or Windows. We have been given information regarding the current minimum speculations your system must have in order to install SteamOS, which actually came from Valve themselves. This version of SteamOS is called "Alchemist", which is said to be a variant of the popular Lunix Distro, Debian. 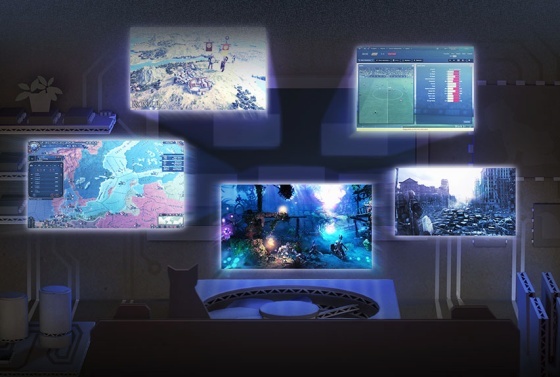 Valve has also promised "seamless transition between Steam, Steam games and the SteamOS system overlay." So far, SteamOS will only support Steam games. However, users will be able to install 3rd party applications with it being a Linux-based system. What do you think about the new SteamOS?